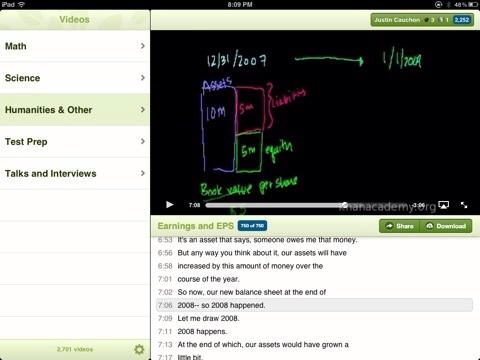 Today Khan Academy released its iPad app to help you learn on the go. The Khan Academy is a non-profit library of over 3000 videos and 311 practice exercises. Videos and courses range from math, history, finance, science, and more. The iPads app, available for free from the Apple App Store, will allow you to bring the videos on the go with you for online or offline viewing.